This is a brilliant rosette satin ribbon. 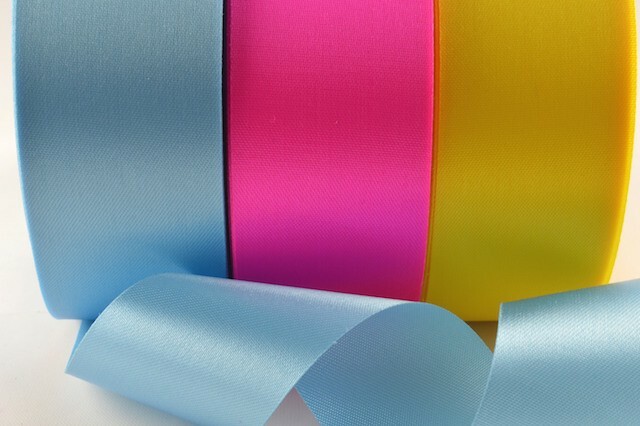 53784 - 11mm, 15mm, 24mm, 38mm, 50mm, 73mm, 100mm Acetate Satin Ribbon (50 Metres) Rolls are spooled with 50 metres of ribbon. This is a brilliant rosette satin ribbon.